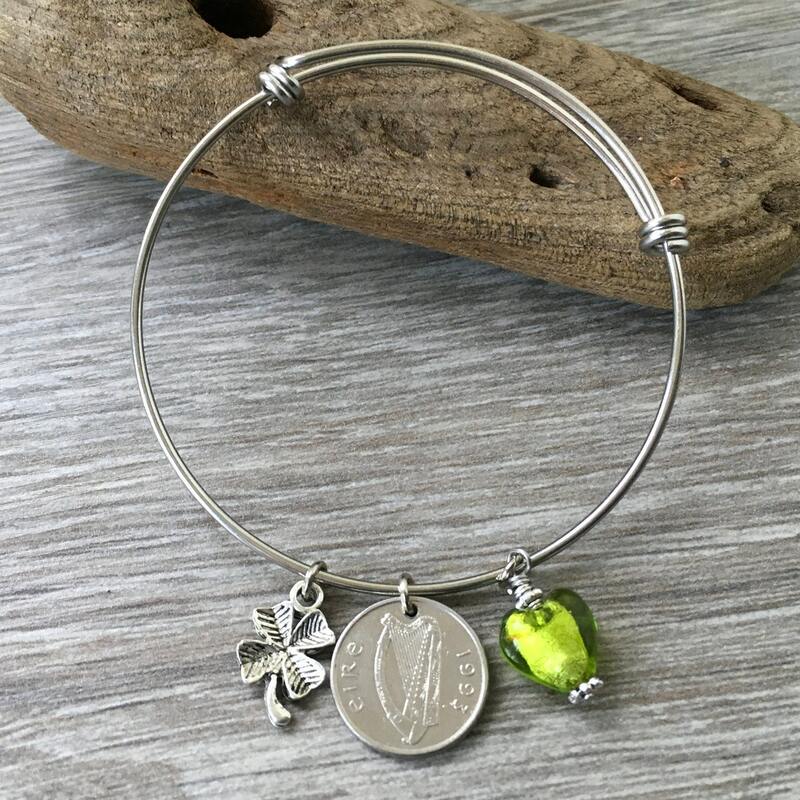 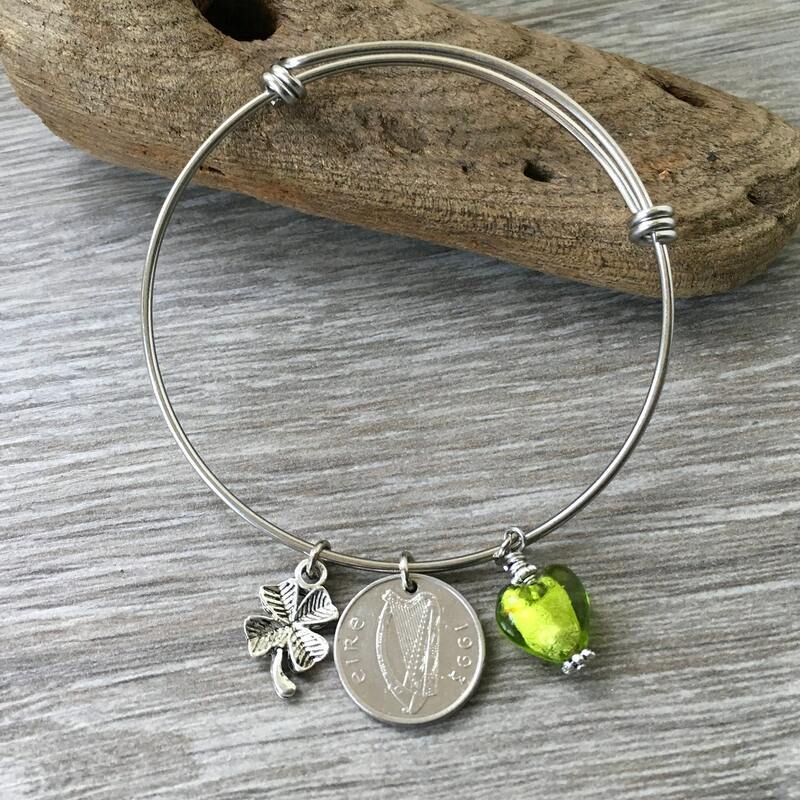 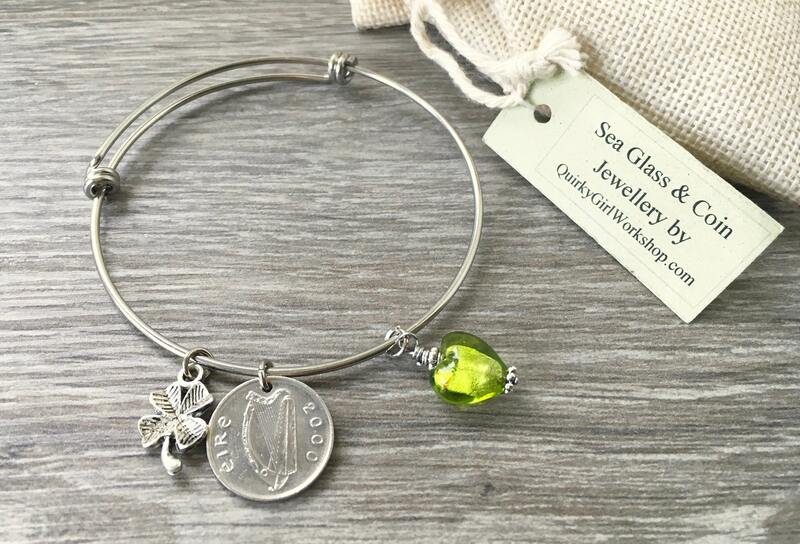 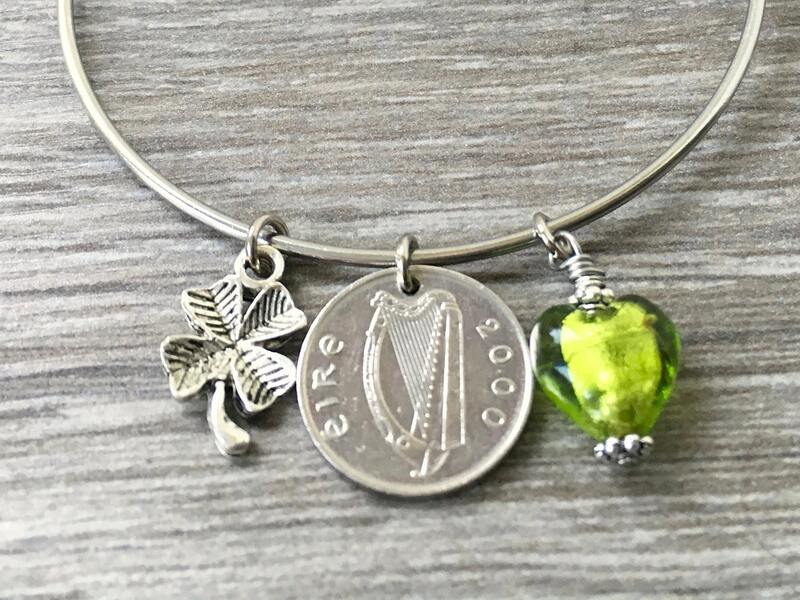 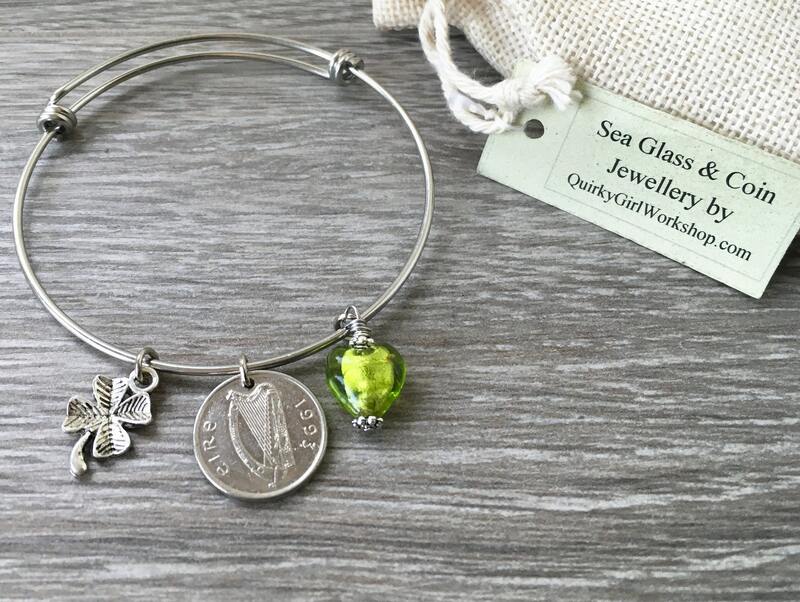 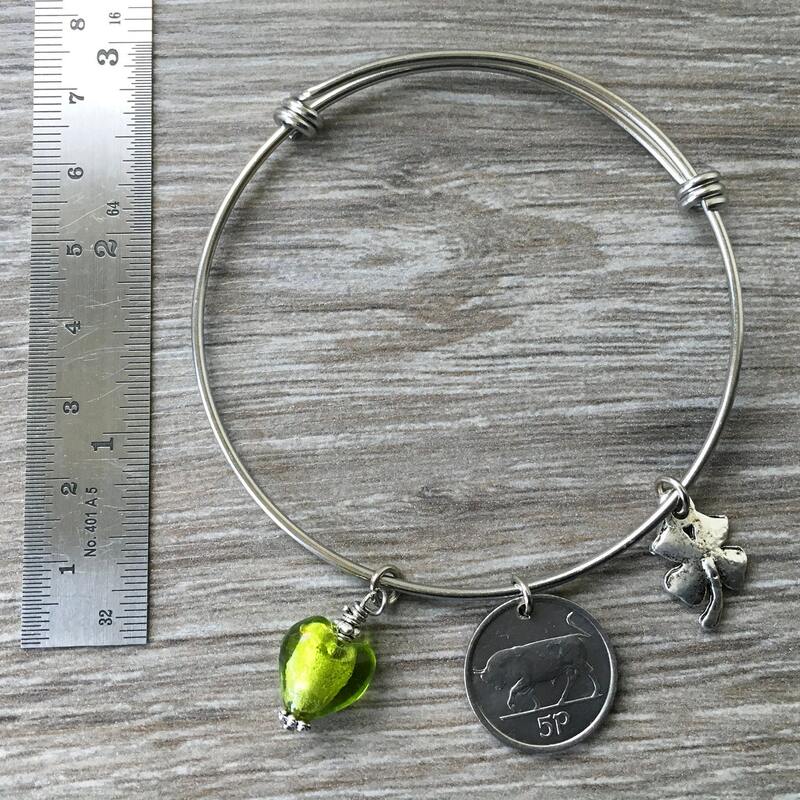 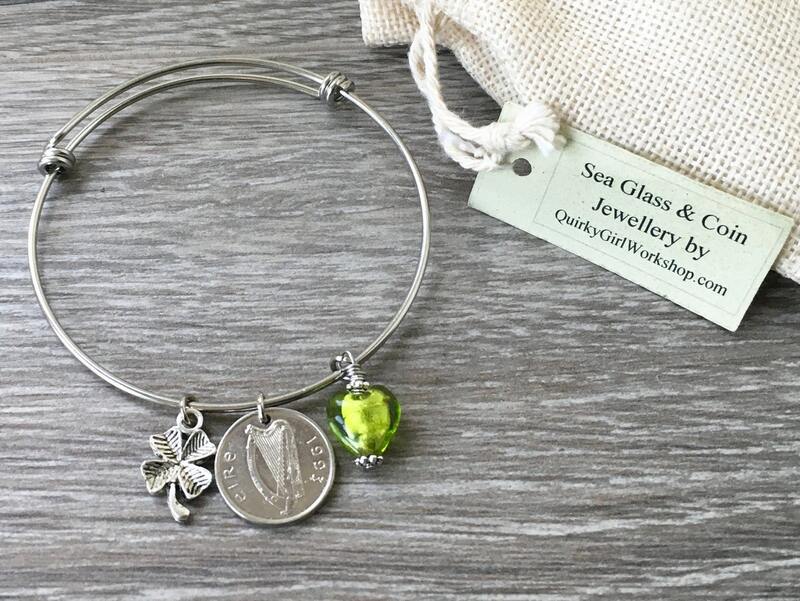 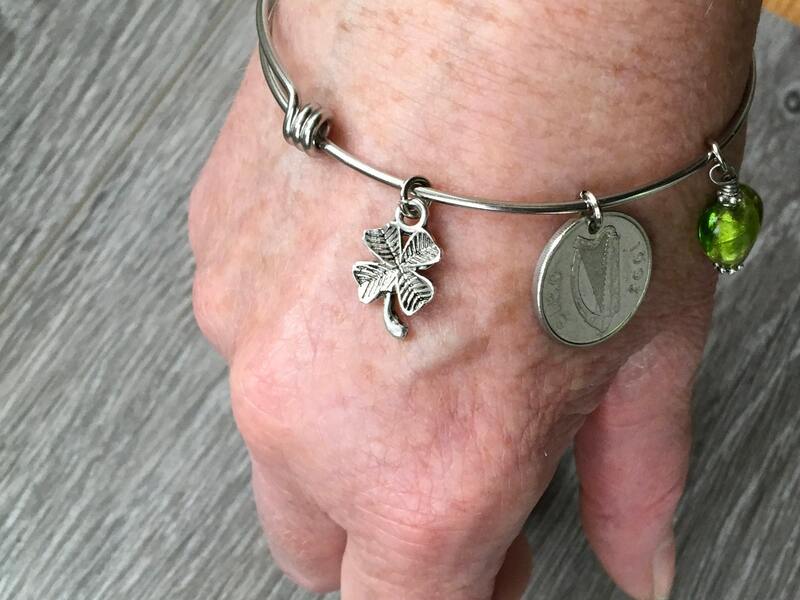 The bracelet is made of stainless steel and has an Irish five pence coin, a shamrock charm and a green glass heart charm. 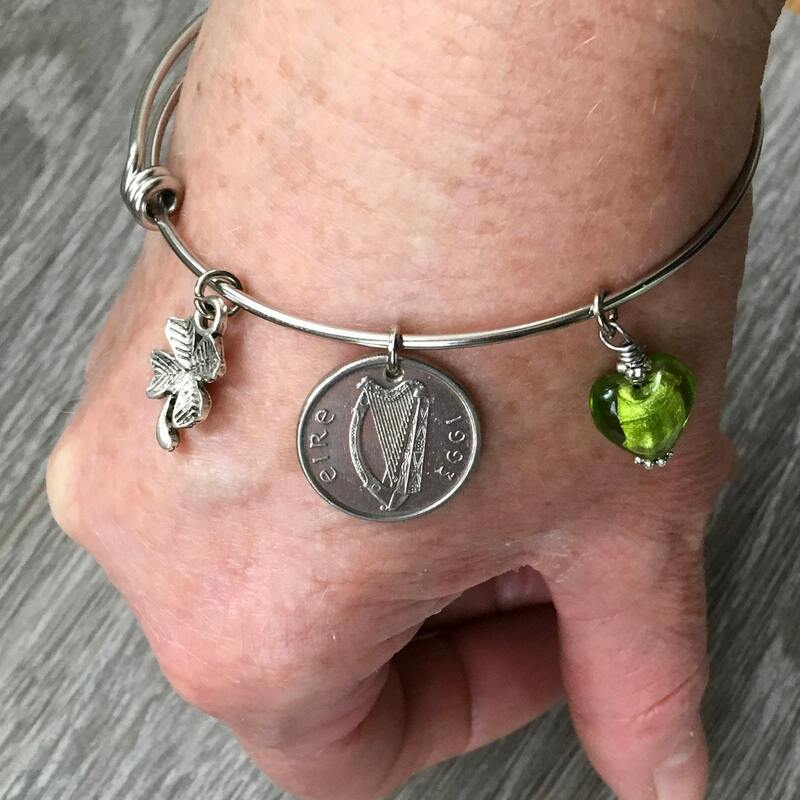 Great shop owner to work with. 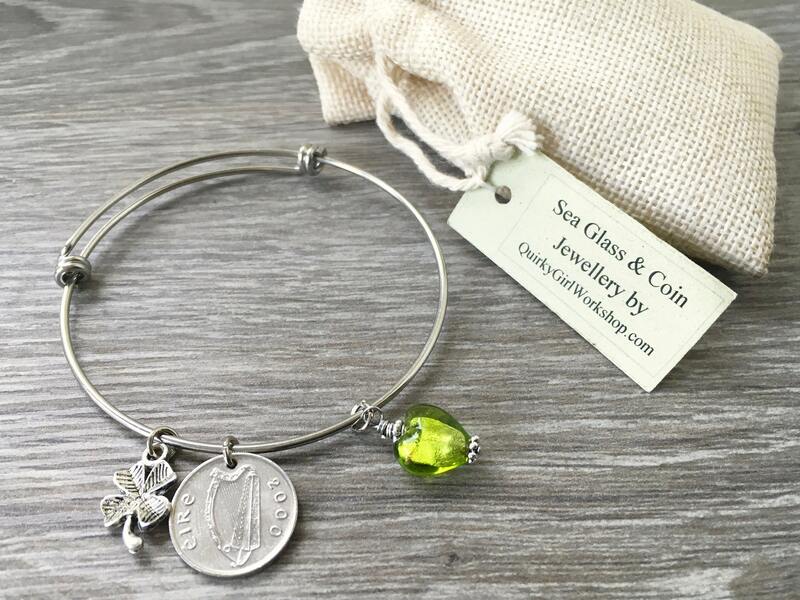 Thank you for the extra charm.